HP Inc. announces its participation in a pilot program run by the Centers for Disease Control and Prevention (CDC) that aims to accelerate the testing of new antibiotics designed to fight antimicrobial resistant bacteria. The pilot uses HP technology to “print” pharmaceutical samples. As part of the pilot, CDC will deploy new HP D300e Digital Dispenser BioPrinters to four regional labs in the Antibiotic Resistance (AR) Lab Network, to develop antimicrobial susceptibility test methods for new drugs. For the first time, regional labs will be able to conduct rapid susceptibility testing for health departments and hospitals nationwide. Antimicrobial resistance is an international public health issue. 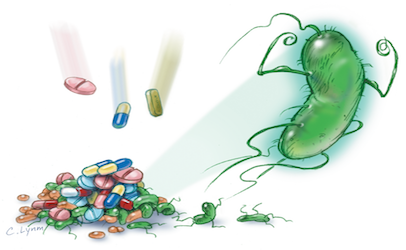 New antibiotics for resistant bacteria can help save lives, but hospitals often do not have access to antimicrobial susceptibility testing to know if the new drug might be effective. The HP printer helps to speed up testing availability at the local level by “printing” the gold standard test plates in a few minutes. When testing is not available, new drugs can be either over-utilized, contributing to antimicrobial resistance, underutilized, not helping patients in need, or mis-utilized, which can lead to side effects or prolonged treatment. The BioPrinter accurately dispenses or “prints” volumes from picoliters to microliters for faster, more reliable dispensing of small molecules and biomolecules to enable drug discovery, genomics, and proteomics research. The following labs within the AR Lab Network will use this technology to develop and perform antimicrobial susceptibility testing for new drugs: New York, Minnesota, Tennessee and Wisconsin. This new capacity can be used by healthcare providers for patient care while commercial methods commonly used in hospital laboratories are developed and implemented. Testing through CDC will be implemented in the regional laboratories in the first quarter of FY19. CDC will prioritize testing for highly resistant bacteria, with pan-resistant bacteria being the top priority. HP will coordinate with CDC to evaluate the pilot in the regional laboratories of the AR Regional Lab Network, refine the system, and explore and support a larger roll-out of inkjet printing technology in labs nationwide. 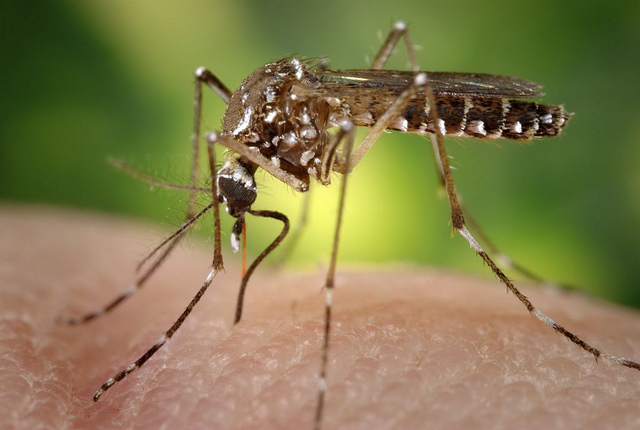 The number of cases in the continental U.S. of mosquito-borne diseases, such as Zika, dengue, West Nile, and chikungunya, has climbed over the past two decades. Neogen’s revolutionary Listeria Right Now™ environmental pathogen detection system has officially achieved AOAC approval, license number #081802. The approval adds another level of assurance to the food safety community, as the product has now been validated by one of the industry’s leading third-party accreditation groups. 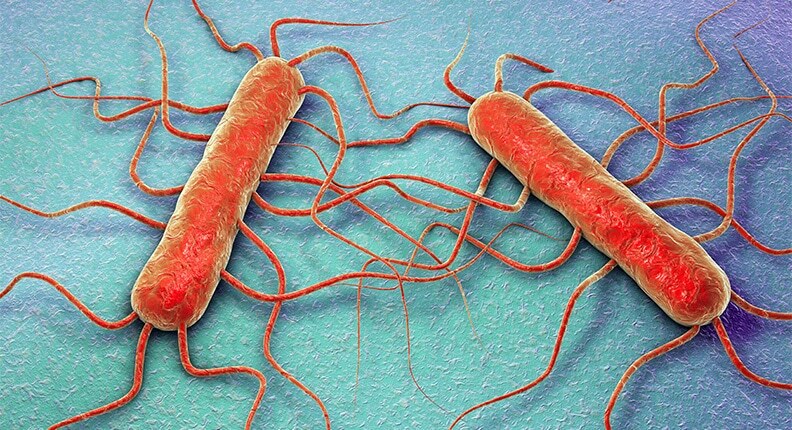 Listeria Right Now is a complete system for taking environmental Listeria tests with molecular-level accuracy that requires no enrichment, so there’s no need for processors to grow bacteria cultures on-site. The system provides results in under one hour, much faster than traditional methods, which can take up to several days. The system works so quickly thanks to a technology that targets rRNA, which is present in much greater numbers than the traditional DNA target. An isothermal reaction also causes the replication and amplification to occur at a constant rate instead of the normal thermal-cycle technology from traditional PCR systems. 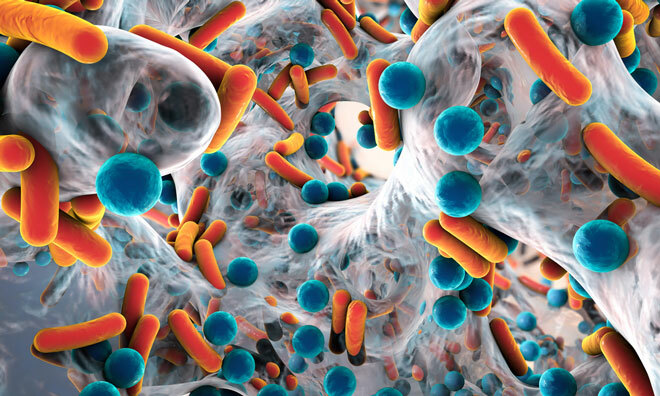 The technology allows food production and processing facilities to seek and eliminate Listeria more quickly, which can reduce the risk of cross-contamination of food products — keeping consumers safe. Listeria Right Now has now been validated by AOAC and NSF International, and is the winner of the 2018 Innovation Award from the French organization Carrefour des Fournisseurs de l’Industrie Agroalimentaire. A recent study, performed in Chicago and Rabat, Morocco, found that a novel finger-prick test for infection with the parasite Toxoplasma gondii during pregnancy — and many other potential applications — is 100 percent sensitive and 100 percent specific for detecting the presence of this life-damaging microorganism. 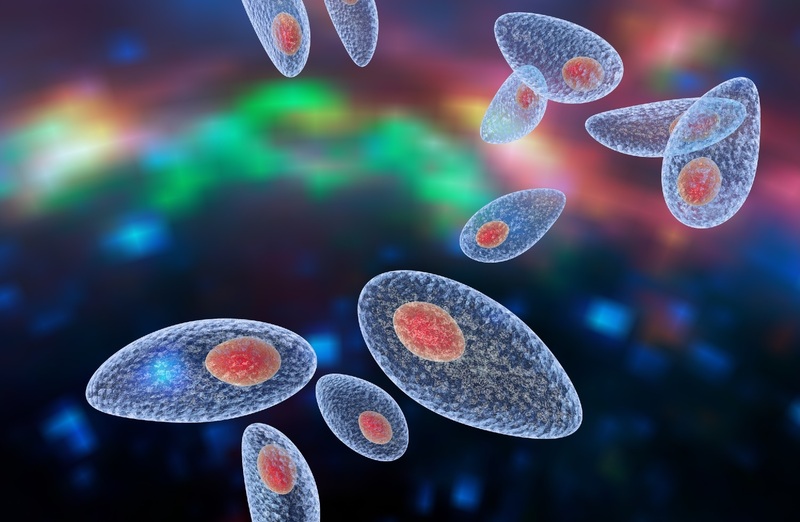 A positive result from the Toxoplasma ICT IgG-IgM point-of-care test, performed with a drop of a pregnant woman’s blood, can rapidly inform an obstetrician about the need for prompt treatment of toxoplasmosis. Timely intervention before birth can prevent the disease, which can cause death, severe brain damage and loss of sight in an infected fetus. The test, developed by LDBIO Diagnostic of Lyon, France, “meets the World Health Organization’s criteria for an optimal point-of-care test,” said toxoplasmosis specialist Rima McLeod, MD, a professor of ophthalmology and visual science and pediatrics at the University of Chicago Medicine. The test is also inexpensive. It costs $4 to $5 per test. Pregnant women at risk should be tested eight to 10 times — once a month during pregnancy, beginning in the 12th week, then once more four to six weeks after delivery. Total cost for repeated tests is about $40 to $50. Hospitals and clinics in developed countries charge substantially more. Toxoplasma gondii gains access to human hosts when they eat undercooked contaminated meat or are exposed to material contaminated by feces from an acutely infected cat, which usually goes unrecognized. Current methods of detecting the infection include serum tests, which require blood samples to be processed using technologies that are often cost prohibitive in developing areas and “may be considered too costly even in developed countries,” McLeod said. In the August 16, 2018 issue of PLOS Neglected Tropical Diseases, a study by researchers based at the University of Chicago Medicine shows that the new test “performed with high sensitivity and specificity. It obviates the need for venipuncture and sample processing.” The test is accurate whether the patients were recently exposed or infected long before testing. The LDBIO test relies on an immuno-chromatographic lateral-flow assay. This is a paper-based system designed to detect the presence (or absence) of a specific target — in this case the IgG and IgM antibodies — by slowly flowing the liquid sample through a paper matrix and over a substance that binds to the antibodies and causes the appearance of a colored band. The researchers, including colleagues in the United States, France and Morocco, collected and tested 244 samples from 205 individuals. Overall, 101 of the samples indicated that the patients had developed antibodies against T. gondii. The other 143 samples did not have T. gondii antibodies. Blood from these volunteer donors was examined in multiple ways. The researchers compared reference tests and standard-of-care serum tests against the finger-stick test. The new test’s results with whole blood exactly matched those from established but more cumbersome methods, even for women with low levels of anti-T. gondii antibodies. Although the test does not distinguish between acute and chronic infections, it provides valuable information that can guide decisions in outpatient settings at very low cost, enabling rapid diagnosis and treatment for infections acquired just before or during pregnancy. The makers are submitting the point-of-care test for approval by the U.S. Food and Drug Administration based on recent U.S studies, but it has not yet been approved. Funding for this study came from the Thrasher Foundation, the National Institutes of Health (NIAID DMID), the Fulbright U.S. Scholar Program (Kamal El Bissati), and the Mann Cornwell, Van Dusen, Morel, Goldberg, Rooney, Taub, Drago and Orlinsky families. Additional authors were Joseph Lykins, Karen Leahy, Xuan Li, Pauline Levigne, Ying Zhou, Kamal El Bissati, Fatima Clouser, Martine Wallon, Florence Morel, Karen Leahy, Bouchra El Mansouri, Maryam Siddiqui, Nicole Leong, Morgan Michalowski, Erin Irwin, Perpetua Goodall, Mahmoud Ismail, Monica Christmas, El Bachir Adlaoui, Mohamed Rhajaoui, Amina Barkat, Hua Cong, Ian J. Begeman, Bo Shiun Lai, Despina G. Contopoulos-Ioannidis, Jose G. Montoya, Yvonne Maldonado, Raymund Ramirez, Cindy Press and Francois Peyron. Researchers from the University of Minnesota (UMN) have developed a method to screen and identify harmful or antibiotic-resistant bacteria within one hour using a portable luminometer. Traditional diagnostic methods often require complex equipment and lab work that can take days. The new method uses chemiluminescence, or the emission of light during a chemical reaction. It was developed with the food industry in mind and could also be used in healthcare settings. In a study published in Advanced Healthcare Materials, researchers from the College of Food, Agricultural and Natural Resource Sciences and the College of Science and Engineering at UMN demonstrated the new technology by analyzing surface swabs and urine samples for the presence of small concentrations of methicillin-resistant Staphylococcus aureus (MRSA), a bacteria that causes more than 11,000 deaths in the U.S. every year. "A big barrier for microbial detection in the food industry is cost and the inability to detect harmful bacteria in a reasonable time," said John Brockgreitens, a graduate student involved in the study from the Department of Bioproducts and Biosystems Engineering. "We're trying to develop an inexpensive and rapid way for microbial detection that can be used without needing extensive training." To screen for microorganisms, green gold in the form of triangular nanoplates was combined with a reducing agent and luminol. This caused a strong chemiluminescent reaction that was stable for as long as 10 minutes. When researchers introduced MRSA and other microorganisms into the combination, they consumed the gold nanoplates, causing the chemiluminescent intensity to decrease proportionally to the microbial concentration. This indicated a presence of microorganisms. "Rapid microbial detection in less than two hours is not only vital to prevent food poisoning, but also to fight antimicrobial resistance by helping physicians make informed decisions before prescribing antibiotics," said Abdennour Abbas, a professor in the Department of Bioproducts and Biosystems Engineering, who directed the research. "More work is needed to apply this technology to more complex samples such as food and crops, but we're hopeful that progress will continue in this area." Researchers also introduced a new concept called microbial macromolecular shielding to specifically identify MRSA. A polymer specific to MRSA was added to the same sample where it engulfed and surrounded the MRSA bacteria, preventing them from consuming the gold nanoplates. This increased chemiluminescence intensity, indicating the presence of MRSA. More research is needed before the method can be used in real-world applications, but researchers are eager to make this process faster and easier for industry use. "In the food industry, items like processed meat, cheese, yogurt and milk have a lot of other competing parts such as proteins and other cells that you need to effectively filter out before you could detect what you're looking for," Brockgreitens said. "We know our direction is to keep looking at some of these cellular interactions and how to make this whole process either automated or a one-step process." This research was funded by the National Science Foundation Award No. 1605191, the University of Minnesota MnDRIVE Global Food Venture, the USDA National Institute of Food and Agriculture Hatch project 1006789, General Mills, the Schwan's Company Graduate Fellowship, and the Midwest Dairy Association. Indian government scientists have urged intensified vigilance for a genetic mutation in a deadly malaria parasite that renders the bug invisible to rapid diagnostic tests and could lead to infected patients being misleadingly labelled as uninfected. The mutation in the parasite that causes cerebral malaria, first detected in Peru eight years ago, has since then surfaced in Gujarat, Madhya Pradesh, Maharashtra, Jharkhand and Odisha and could threaten malaria elimination efforts, the scientists have said. The diagnosis of Plasmodium falciparum infection now relies on rapid diagnostic tests that look for a surface protein on the parasite called histidine-rich protein (HRP) 2, which serves as its molecular signature. But a genetic mutation that has deleted the HRP2 protein allows the parasite to evade detection through the standard rapid diagnostic tests. "The HRP2 protein is not essential to the parasite's survival - so the mutated parasites continue to infect and cause disease in humans," said Praveen Kumar Bharti, a scientist at the National Institute of Research in Tribal Health (Nirth), Jabalpur. An infection caused by such a mutated parasite is not picked up by the standard rapid diagnostic tests. So patients with high fever and other malaria symptoms may be misleadingly labelled as uninfected by malaria, leading to likely delays in treatment. In a report published this week in the journal Lancet Infectious Diseases, the Nirth scientists have called for "timely mapping and monitoring" of parasites without HRP2, saying this will be a crucial step towards malaria elimination. India's malaria control efforts have helped reduce the number of cases from about 1.9 million in 2004 to 1.1 million in 2014. The Union health ministry's malaria elimination milestones seek to achieve zero local cases and deaths by 2024, interrupt all local transmission of malaria by 2027, and maintain a malaria-free status across India by 2030. But Nirth director Aparup Das and his colleagues have now cautioned that the deletion of HRP2 in the malaria parasite may make the elimination challenge even more difficult. They have highlighted that India's public health sector alone had during 2016 relied on over 19 million rapid diagnostic tests to look for malaria in patients with suspected symptoms. The HRP2-deleted parasite appears to have emerged in the Peruvian Amazon in 2010. Within three years, scientists at the National Institute of Malaria Research, New Delhi, reported finding similar mutated parasites in India. Surveys have since then indicated that up to 8 per cent of parasites picked up from sites in Gujarat, Jharkhand, Madhya Pradesh, Maharashtra and Odisha lack the HRP2 protein. The scientists have also called for research to design alternative molecular diagnostic tests that could help overcome the deletion of the HRP2 protein. "Otherwise this hole of Plasmodium falciparum HRP2... deletion might sink the ship of malaria management and elimination in India," they wrote in their report. A new microbial detection device will help water distribution networks speed up the process of measuring their infection. This will lead to significant savings in critical financial resources. Transmissible infectious diseases are a major problem for human health. Contaminated water can lead to diarrhea, cholera, dysentery, typhoid and poliomyelitis. Drinking water is estimated to cause 502,000 deaths due to diarrhea each year, according to the World Health Organization. This is why rapid detection of microbes and bacteria in water is considered vital. A team of researchers financially supported by the European Union through funding has created WaterSpy, a device for monitoring tap water in real time. It was a portable water quality analyzer based on the laser that can be used in critical locations in water distribution networks. It can provide safe reading in a few hours rather than in days as usual in traditional ways, helping water services, public authorities and regulators save time and money. The prototype is ready and the team will test it at two locations in Genoa, Prato’s water treatment plant (a small town in Tuscany) and the entrance to Genoa’s water distribution network. 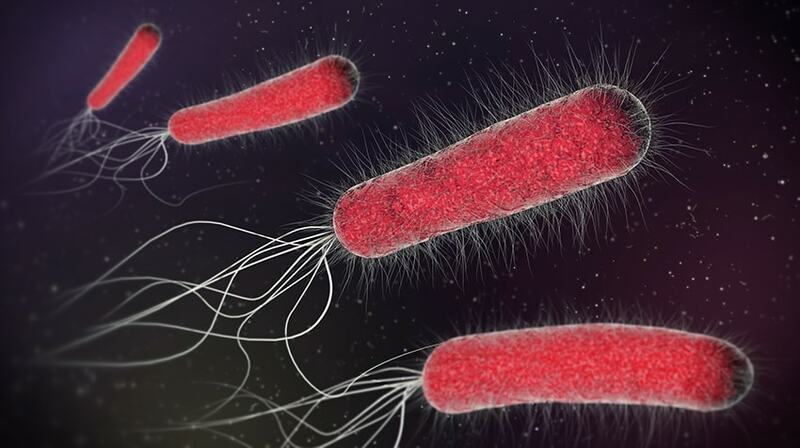 WaterSpy will focus on tracking three of the most deadly bacterial strains: Escherichia coli, Salmonella and Pseudomonas aeruginosa. As explained in a press release on the project website, these bacteria are often difficult to identify, as the concentration of contaminants can be low. The current procedure to date involves taking water samples and sending it to a remote lab, it also takes at least another 24 hours to allow microbiologists to locate these bacteria. As a result, a full resolution may take up to 2-3 days. However, the research team says that this whole process will take place in just 6 hours, about 12 times faster than the current standard. The WaterSpy handheld device, which is essentially a high sensitivity water analyzer device, was created to develop water-quality photonic analysis technology that is suitable for electronic measurements. According to the group, WaterSpy technology is relatively inexpensive and complies with the stringent European Union requirements regarding susceptibility levels for bacterial detection following the new regulations on drinking water. Medford-based Chembio Diagnostics and the Foundation for Innovative New Diagnostics are developing a rapid diagnostic test for hepatitis C virus. The foundation is working with three companies on HCV feasibility studies following a request for proposals in the first half of this year. It plans to assess the outcomes of the feasibility studies in December 2018 and award one company further funding to develop their test. This initiative is part of the Hepatitis C Elimination Through Access To Diagnostics project supported by a grant from Unitaid. The foundation is also conducting pilot projects in six countries related to HCV testing and the impact of HCV diagnostics. “Easy-to-use, accurate and affordable diagnostic tests are essential elements in the drive for HCV elimination,” Catharina Boehme, CEO of the foundation, said. According to the World Health Organization, 71 million people are living with hepatitis C, mostly in low- and middle-income countries. The disease kills nearly 400,000 people annually, predominantly through cirrhosis and hepatocellular carcinoma, according to Chembio. Despite this large death toll, the virus often is undetected, with 80 percent of people infected not aware of their condition, the firm said. Molecular diagnostics company Genetic Signatures has announced a major new contract with a large Australian pathology service provider and release of two new products. Genetic Signatures secured the contract with an Australian pathology service provider and expects its new customer to conduct as many as 1,000 tests per day, depending on the severity of the flu season. The new sales contract means its second generation EasyScreen Respiratory Pathogen Detection Kit will be sold on per test basis to a major pathology service which will also employ Genetic Signatures’ proprietary workflow solution: the GS1-HT System. The diagnostics company manufactures a range of tests and detection kits for various viruses and “superbugs” that make hospital healthcare more challenging and increasingly difficult as pathogens build resistance to antibiotics. According to the World Health Organisation (WHO), respiratory viral infections are responsible for the deaths of an estimated 3.9 million people per year, and one of the top five causes of mortality worldwide. The WHO estimates that in addition to increasing the risk of secondary bacterial infections, respiratory viruses cause an enormous burden to health systems by way of direct medical expenses and indirect productivity losses. Rapid identification of viral respiratory infection is therefore critical in initiating antiviral treatment and limiting the spread of the infection. In May, Genetic received Therapeutic Goods Administration (TGA) registration allowing the sale of its novel “Extended Spectrum Beta-Lactamase and Carbapenemase Producing Organisms” (ESBL & CPO) detection kit in Australia. This follows the company’s receipt of European approval last month which enabled the sale of the ESBL & CPO products across Europe. The EasyScreen Respiratory Pathogen Detection Kit leverages the company’s proprietary molecular diagnostic (MDx) 3base platform technology. The kit can simultaneously detect 14 common respiratory pathogens including Influenza A & B, Rhinovirus and M. pneumoniae. Also, the kit can make accurate diagnoses in approximately 4.5 hours with minimal hands-on time for laboratory technicians. Meanwhile, the GS1-HT system serves as a supplementary tool that helps technicians to evaluate data obtained by the EasyScreen kit. The GS1-HT is a high-throughput, proprietary workflow automation system that has been designed to optimise sample processing with EasyScreen assays, as well as other general laboratory processes. The GS1-HT allows customers to reduce the processing time by approximately 45 minutes with runs of up to 96 samples. This results in an increase in throughput of up to 15% relative to existing instrumentation. Genetic says that a successful product launch is expected to provide an immediate boost to domestic revenues and help accelerate global sales. “The new sales contract and the launch of the second-generation EasyScreen Respiratory Pathogen Detection Kit and the GS1-HT marks a major milestone for Genetic Signatures. We are pleased to be positively impacting patient care, having rolled out the products to our customer ahead of the start of the flu season. Although sales of the respiratory tests are dependent on the severity of the flu season, we anticipate sales of approximately 1,000 tests per day during peak flu season for this customer, creating a significant boost to our domestic business,” said Dr John Melki, CEO of Genetic Signatures. Keeping tight-lipped about the exact identity of its new customer, Genetic says its new customer creates an opportunity to supply up to 1,000 tests per day during peak flu season and approximately 100-200 outside of the flu season. The customer is currently consuming approximately 400 tests per day in the lead up to peak flu season, usually occurrent sometime in September-October each year in Australia. Genetic says the timing has been chosen to maximise the value of the deal as flu season approaches.